The pharma industry’s reputation is getting worse - at least, in the eyes of 800 patient groups - according to a new international survey by PatientView. Of those which responded to questioning in November and December last year, 35.4% said that multinational pharma companies had either an ‘excellent’ or ‘good’ reputation in 2013. While this is about the same result as in 2012, it is well below 2011 when 41% of respondents gave that answer. The survey defined corporate reputation as “the extent to which pharma companies are meeting the expectations of patients and patient groups” and, on that basis, pharma was ranked seventh out of eight healthcare industries in 2013. The only group with a worse reputation is commercial health insurers - while retail pharmacists (the sector with the most favourable reputation), biotechs and generic manufacturers all fared better (see table below). 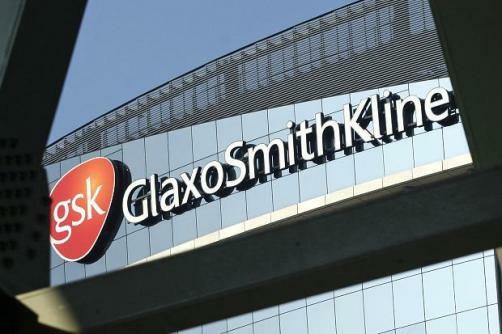 The 33 companies in the survey were pharma’s biggest names and included AbbVie, AstraZeneca, Bayer, Boehringer Ingelheim, Bristol-Myers Squibb, Lilly, GlaxoSmithKline, both Mercks, Pfizer, Roche, and Sanofi. Lundbeck and Novartis both saw their positions in the rankings fall year-on-year but ViiV Healthcare - a joint venture between GlaxoSmithKline, Pfizer and Japan’s Shionogi - made its first appearance in the corporate reputation survey and has come straight in at number one, topping the list in five key areas. As well as providing the “best and most effective patient-centred strategy” according to 48.1% of groups familiar with the company, it was also deemed to have the best record of patient safety (36%), provided the most useful high quality products (44.4%), was the most transparent company (28%) and had the most integrity (34.6 per cent). It was also second in the list of those thought to give patients the highest quality information for patients (33.3%), behind Gilead Sciences (40%) - and Gilead came second to ViiV in each of the other five categories. The survey authors suggest that ViiV and Gilead’s main area of business has much to do with their elevated reputation (Gilead was in second place overall in 2012 too). “After something of a hiatus in innovations reaching the market, the last two years have seen a turnaround, with both Gilead and ViiV introducing new compounds to the satisfaction of the HIV/AIDS community,” they write. But the commentary also points out that not everything has been rosy for the firms, with both coming under criticism for their pricing strategies from groups such as Médecins Sans Frontières. Others on an upward curve in the corporate reputation list included Roche moving from 8th to 6th position since 2012, with Lilly going from 9th to 7th. Meanwhile Italian firm Menarini made the biggest strides in this year’s survey, leaping from 19th position in 2012 to 8th in 2013, while France’s Sanofi (up from 23rd to 15th) and Israel’s Teva (28th to 21st) have also made progress in shifting the perception of their operation. No reasons are given by respondents for their choices, but the survey’s commentary speculates on whether Menarini’s rapid corporate expansion could have something to do with its improved standing. It also suggests Sanofi’s restructuring and greater emphasis on biotechs might have caught the imagination of patient groups and says Teva’s rise may be in part due to a perception that generics manufacturers, by definition, promoted wider access to drugs than pharma does. 8th. Health insurers (for-profit), 26.7 per cent. The 33 companies looked at in the survey are: AbbVie, Actavis, Allergan, Amgen, Astellas, AstraZeneca, Baxter International, Bayer, Biogen Idec, Boehringer Ingelheim, Bristol-Myers Squibb, Celgene, Eli Lilly & Co, Gilead Sciences, GlaxoSmithKline, Grunenthal, Janssen, Lundbeck, Menarini, Merck & Co, Merck KGaA, Novartis, Novo Nordisk, Pfizer, Roche, Sanofi, Servier, Shire, Stada Arzneimittel, Takeda, Teva, UCB and ViiV.